We believe that the only way out of poverty is through access to nutrition, education and employment. 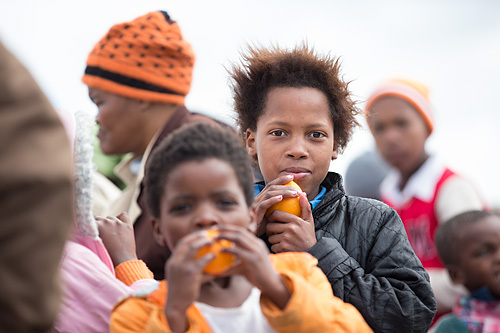 A REACHING HAND is a charitable organisation based in Cape Town, South Africa. A REACHING HAND is reliant on the support and donations made by individuals and companies. By donating to A Reaching Hand you directly support the upliftment of children, youth, single mothers and families that are struggling for day to day survival in some of South Africa's most impoverished areas. A REACHING HAND was founded in 2010 by Karin Hoole who dedicates all her free time to managing the organisation and being the driving force that gives people hope every day. By recognising the human face of poverty, we are able to provide the necessary support with compassion as we work relentlessly towards making a difference in the many lives we touch. A REACHING HAND is not a grant-making organisation and does not receive government funding. It is funded almost entirely by private funding, philanthropists and foundations. A Reaching Hand is headquartered in Cape Town, South Africa. Nelson Mandela once said "Children of today are the leaders of tomorrow and education is a very important weapon to prepare children for their future roles as leaders of the community".